I’ve been meaning to do this post for a while now, and by “for a while” I mean a couple years. In the following photos, you will see an ancestor I believe to be on the Swalve side of the family. Initially, I thought she was Helena Catrina Koster, who married Freerk Bellinga Swalve and was mother to Wubbina Swalve and A.J. Koster (Swalve). Sometimes, I think the woman in the portrait could be the same as the woman you see in the following photos, but then I dismiss it because of her dark eyes. This effectively leaves the mystery of who is in these photos (and repeatedly with Freerk). A general consensus could sway me, but in general, I don’t trust my own judgment on this since I don’t want to re-write history all willy nilly like. The bakery is where Helena Catrina gave birth to her children. Here she is again, with Wubbina, Wubbina’s husband, Dirk de Wit, and father, Freerk. From left to right, Wubbina Swalve, unknown ancestor, Freerk Bellinga Swalve, and Dirk de Wit. This photo was initially very washed out, so I did some editing for better or for worse in Photoshop to try to make it view-able. Freerk Bellinga Swalve with unknown ancestors. This photo is one of those that gets darker with age. Wedding portrait of Klaas Siersema and Helena “Lenie” Frederika de Wit. 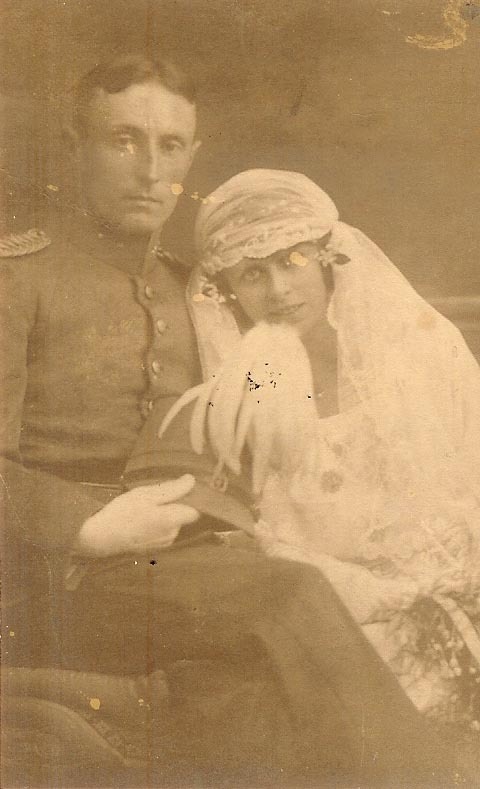 Klaas Siersema and Helena “Lenie” Frederika de Wit, my great-grandparents, were married on Aug. 28, 1923. The photo above is a medium to heavily retouched scan of the wedding portrait for Klaas Siersema and Helena “Lenie” Frederika de Wit in 1923. Sadly, it seems as though when a marriage ends people tend to take less care of the proof it ever happened (See the thumbnail version of the original photo to the right to see what I’m talking about — although, I guess it is also fair to note the photo has survived nearly 90 years and moving from the Netherlands to Canada to the United States). For the purpose of getting married. The banns were without protest here registered on Saturday the fourth of August last and in Venlo on Saturday the eleventh of August next. The mother of the groom and the parents of the bride, here present, have declared that they agree with this marriage. 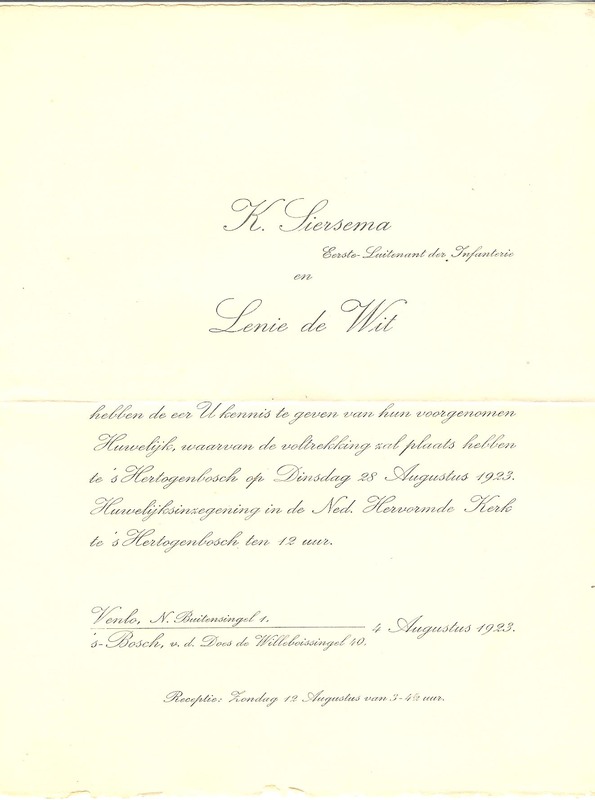 The actual ceremony took place in the Netherlands Reformed Church in ‘s-Hertogenbosch, where Lenie’s father Dirk was an active and high-standing member. I find the witnesses particularly interesting. Leendert was married to Klaas’ sister, Leentje, and they had a daughter named Ada who was close with my grandfather (Klaas and Lenie’s son) growing up, but I have no idea what happened to her. It makes sense that he would be a witness. But as for Nicholaas, I have never heard or seen his name, so I am even more curious to know how he comes into the picture. Dirk de Wit was born in Buren, Netherlands, the second of November, 1872, according to a record on FamilySearch.org, to Hendrika Goudsblom, a servant, and Dirk de Wit (1833), a municipal constable. He was their second child by that name, as was tradition if the first child of a given name died very young. He never met siblings Johannes Gerardus de Wit [1867-1868] or Dirk de Wit [1870-1871], but he did have a sister who survived into adulthood, Dirkje de Wit [about 1858-1939]. Dirkje was a product of their father and his first wife, Alijda Zoelen. 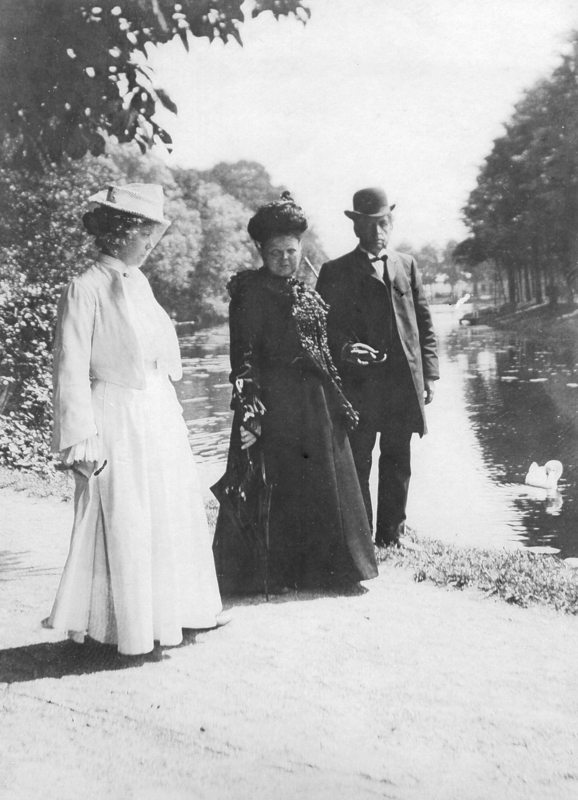 Dirk was a passionate man who courted his wife, Wubbina Swalve, for at least four years before they married in her hometown of Beverwijk, North Holland, on Aug. 15, 1902. 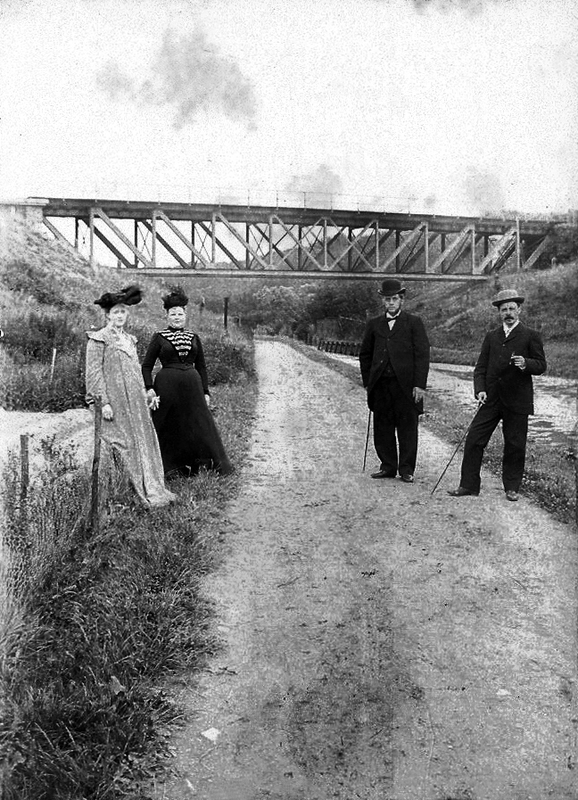 Dirk became a father in 1903, when Wubbina, again in Beverwijk, gave birth to a daughter whom they named Helena Frederika. A Protestant, Dirk was very devoted to his faith. Although he worked as a teacher and was listed as such on most official documentation throughout his life, he also held many prominent and important positions with the Dutch Reformed Church. As for his profession, Dirk taught at the Nutschool for at least 20 years, according to a Google translation of the newspaper account of his funeral service. I believe this was in s-Hertogenbosch, where he died and where obituary accounts note a strong contingent from the Nutschool in attendance. He also did philanthropic work and was appointed to the Board of Directors for the Armenraad (or Arms Council in English), which was an organization that helped the needy. He died on the 18th of June, 1926, in s-Hertogenbosch. He was 53 years old. Aside from obituary and funeral coverage, most information for this bio came from digital records on Genlias.nl. Update: Ancestor No. 3 has since been identified as Freerk Bellinga Swalve. As with many mysteries, just as soon as I found a clue that might help me solve one, two new questions popped up. 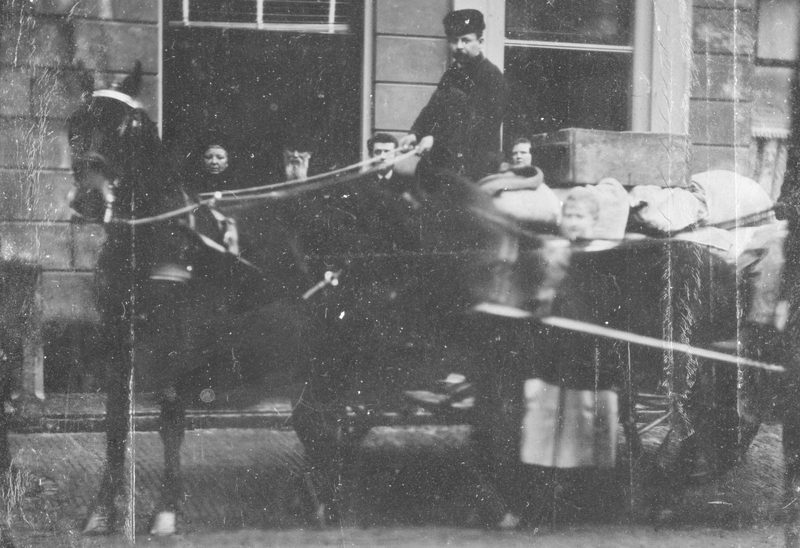 If you remember the subject in the photo from the post “Image taken in Rotterdam in the 1800s by A. Boeseken,” you may notice the uncanny resemblance between her and Unknown Ancestor No. 1 in the image above. 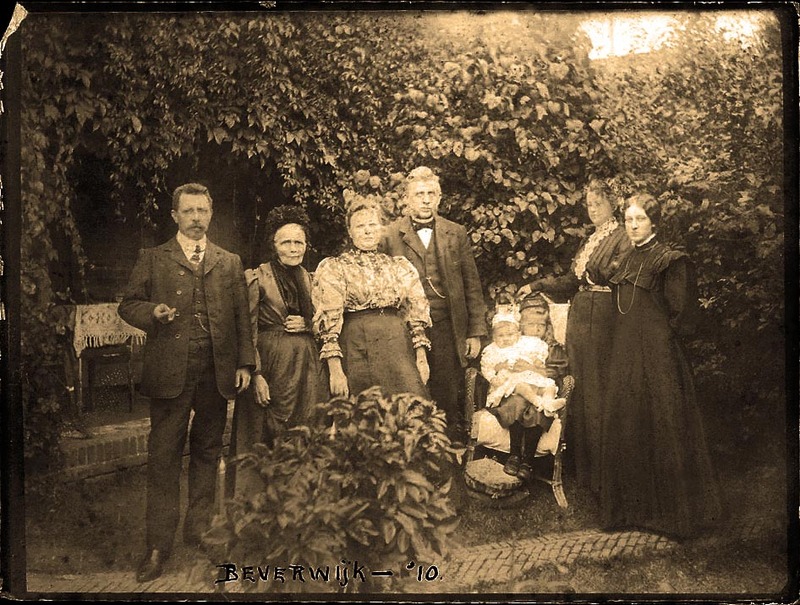 Since we know that the Rotterdam photo was taken between 1867-1877 and that this photo is taken in 1910, I was excited to look at my family tree to see who the woman might be. Based on birth and death records, a huge amount of people were immediately dismissed through process of elimination. While my records that far back are a little spotty (mostly with birth dates, but no death dates yet), there was one person who fit the criteria: Anneke van de Graaf. 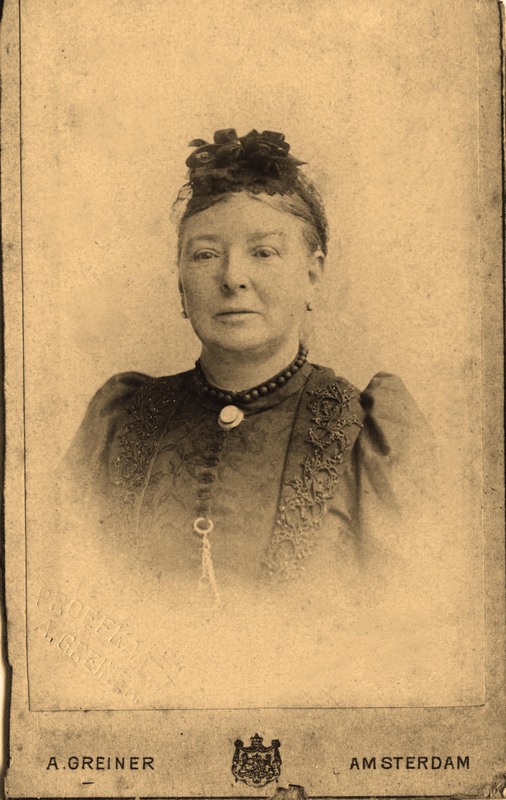 Anneke van de Graaf entered my family tree through marriage to Hermanus de Wit, who was the brother of my direct ancestor and great-great-great-grandfather Dirk de Wit (1833). So, essentially, she would have been the aunt of the Dirk de Wit standing next to her, if the person in the photo is indeed her. 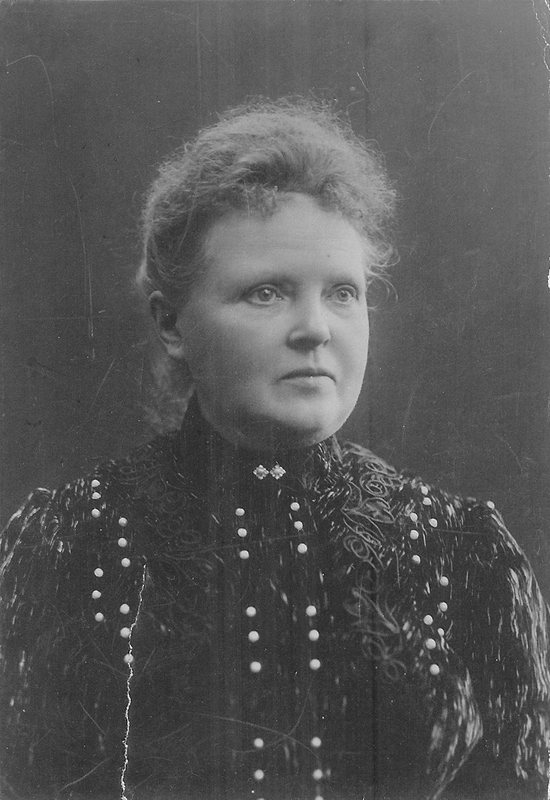 She was born in Beesd, Netherlands, in 1838 and died in Beesd in 1913. That said, I have no way to verify it yet — and let’s not forget that the image above also raised two additional questions with Unknown Ancestors Nos. 2 and 3. Who are they? For a moment there, I was excited, thinking that perhaps they were the elder Dirk de Wit and his wife, but that is an impossibility since they died seven years earlier. Unknown Ancestors Nos. 2 and 3 could, then, very well be Wubbina’s parents, Freerk Bellina Swalve and Helena Catrina Koster, who did live in Beverwijk judging by the record of their wedding on Genlias.nl and postcards Freerk sent to Helena. Until I find their death records, though, I cannot confirm. And so the mysteries continue! Dirk de Wit, husband to Wubbina Engellina Johanna Petronella Swalve and father of Helena de Wit, died in 1926 of an “incurable malady.” He was just 53 years old. “A highly regarded and meritorious townsman is gone from us and received by death. At the age of 53 years, Mr. Dirk de Wit, teacher of Tot Nut van het Algemeen, has died. The deceased served education in an exemplary way — nothing was too much to do in the interest of his students — and he was held in high esteem by students and their parents. Mr. de Wit was no stranger to the public and society, serving on many committees — especially the Dutch Reformed Church, which loses in him a most zealous and religious member. In this church, he held prominent positions. He was a member of the church council, secretary treasurer of the Board of Deacons and administer prelate of the church. Furthermore, the deceased was the founding president of the church choir, Excelsior, and the long-time president of Our Covenant, which he resigned from recently due to health reasons. Also in the charitable realm, Mr. de Wit was very active and recently was appointed a member of the Board of Directors for the Arms Council [a charitable organization that helped poor people with relief, medical care, etc.]. A serious illness recently attacked his strong constitution, and though it was an incurable malady, nobody expected that death would so soon put an end to the life of this hard worker, who had acquired many friends. Mr. Dirk de Wit was buried here this morning at the Protestant cemetery.When the body, covered with a wealth of flowers, was brought to the cemetery, groups of students and former students of the Nutschool system gathered at the gates. Also in attendance were the elders and deacons of the Dutch Reformed Church, teachers of Nutschool, the church choir Excelsior, a deputation of Our Covenant, and very many other interested parties. After the coffin was lowered into the ground, Ds. W. Meindersma, president of the church council, spoke first. He thanked the deceased for everything he’d lectured as an interested and compassionate member that could not be missed more. Also on behalf of the college of deacons, of which he was an accountant, he thanked him. Scr. said he did not to want to talk about what has been, but he posed the question: What will he be now? Memoreerend Longfellow spoke about the deceased’s faith and how he has a new journey now that will take him to his final post, where he might be closer to God. He also said how those left behind should remember the teachings Dirk shared with them. Scr. took leave with the wish that once everyone left the proceedings, they would still have the word of the deceased in their hearts and that it will continue to resound. Mr. J. Eisma then spoke on behalf of the school board and pointed out how the board had always been pleased over the years by the deceased and had taken note of the results of the education given by him. Furthermore, he thanked the deceased for everything he has done for the Dutch Reformed Church, saying it would be difficult to find a replacement because there are few people who so selflessly undertake and fulfill their duties. Mr. H. van den Last, director of the church choir, Excelsior, outlined the work of the deceased president, noting that all attempts in his work suggested the highest levels possible to implement. Scr. expressed the hope that his spirit will remain among the living, so that always justice will remain. Mr. F. Meulbroek spoke on behalf of Our Covenant. Afterwards, Excelsior sang a harmonized “Above the Stars” in French. Here’s a link to a performance of “Boven de Sterren” [Above the Stars] on YouTube.com. I recently procured a box of old documents and photos from my grandmothers house. 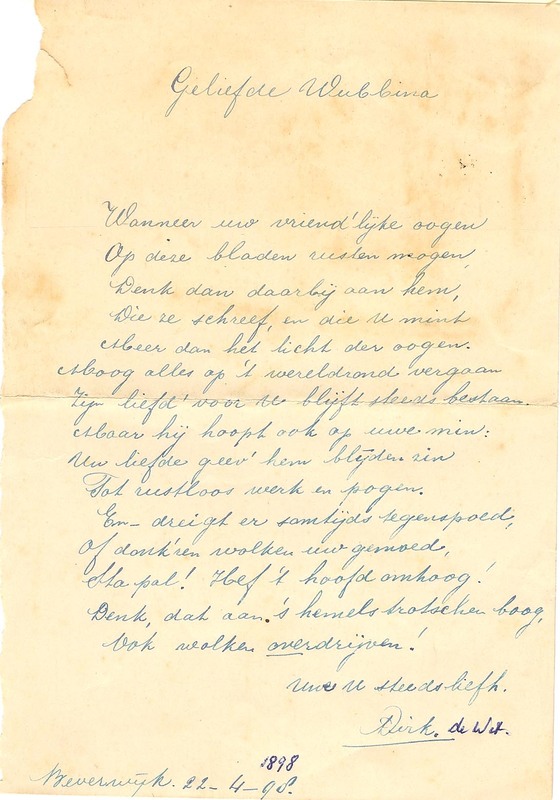 In it, I found this 114-year-old love letter from my great-great grandfather, Dirk de Wit, to his then future wife, Wubbina Engellina Petronella Swalve. More than the light of eyes. His love for you will always exist. In restless working and striving. Stand firmly! Hold your head up high! Helena “Lenie” de Wit was born Oct. 24, 1903, in Beverwijk, North Holland, to Dirk de Wit and Wubbina Engellina Johanna Petronella Swalve. When she was 19, Helena was married Col. Klaas Siersema in the Netherlands Reformed Church in Hertogenbosch and later gave birth to two children, Johan Siersema and Tonny Siersema. She divorced Klaas after the death of Tonny, which happened when he was two, and spent much of the rest of her life in a committed relationship with Dr. G. Broeders, who was also a military man; although, they never married. Helena earned certificates in both stenography and typing in 1932, and regularly wrote and sent packages to prisoners during WWII. During the war, when Johan, a member of the Dutch Resistence, was captured, she paid off a guard and went to visit him, having to stand on the other side of a fence. She came from a wealthy family and often traveled in Holland. Later, she was known as Oma Utrecht by her grandchildren, since that was where she lived later in life. She died in 1984. She was 81. Personally, I never met Helena, because she died shortly after I was born, so if you did know her and are inclined to leave a comment sharing a story or memory about her, I would be grateful.